The law requires employees to pay income taxes via payroll deduction. The employee must complete a Form W-4, which lets the employer know how much federal tax to withhold from his paycheck. The employee should state his filing status and number of allowances on the W-4. Typically, the more dependents you claim, the less taxes you will pay, but you can also end up owing taxes as a result. There are a number of ways to know how many allowances to claim. Use the wage bracket method outlined in the IRS Circular E (withholding tax tables). You will need your current pay frequency and your income amount. For instance, if your income for 2010 were $300 paid weekly, you would go to page 41 of the 2010 Circular E to know your federal tax withholding for up to 10 dependents. The wage bracket method has an income limit and you can only use this method if you are claiming 10 or fewer allowances. Use the percentage method if you are exempt from the wage bracket method. The percentage method is effective if your income surpasses the wage bracket limit and if you are claiming than 10 allowances. To arrive at your tax amount, use the IRS withholding allowance table (for example, see page 37 of the 2010 Circular E). Multiply the IRS amount for one payroll period by the number of allowances you are claiming. Subtract the result from your income and then use the withholding tax tables to determine the amount of tax that will be withheld. Determine if you should submit a new W-4 using the IRS withholding calculator. The calculator helps you to determine if too little or too much tax is being withheld from your paycheck. 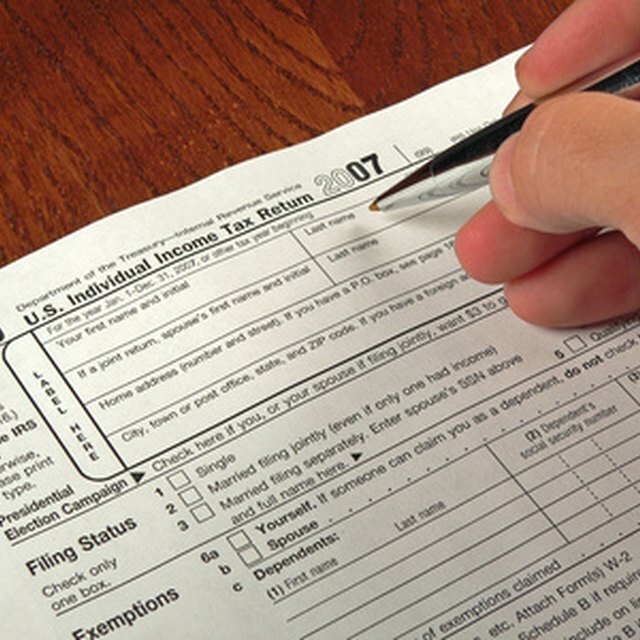 You will need your most recent pay stub and income tax return. Along with your filing status, you will need to state your number of dependents, total wages you expect to receive for the year, the amount of taxes withheld from your last paycheck, the amount withheld to date and your deductions. The calculator will indicate the number of allowances you should claim to appropriately adjust your taxes. You can claim a qualified child or relative as a dependent. On your W-4, allot one allowance to each qualifying child or relative; a dependent can be claimed only once by one person. You must be single to claim head of household and you must be financially responsible for more than half of the cost involved in caring for yourself and your dependents. If you do not submit a W-4 to your employer, he can place you at single with no allowances–the highest tax bracket. If you do not submit a W-4 to your employer, he can place you at single with no allowances--the highest tax bracket.